“As a mother of two, one of my passions is protecting little feet. I would like to share my research with you about how fragile little feet can be and how it is our responsibility, asparents, to see that they get the best start in life. I do hope you enjoy your SKEANIEs.”Natasha Barber, founder. Starting out in Australia, the SKEANIE brand - loved by little feet around the world – has come to Europe. 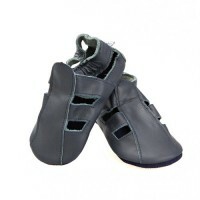 Its eco-approach only uses offcuts of leather to create stylish shoes that nurture and protect children’s feet. 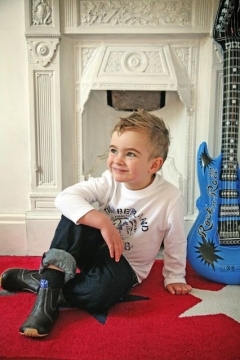 SKEANIE was founded by mum of two Natasha Barber. 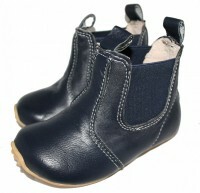 She commenced her soft soled shoe research shortly after her Cheeky Monkey, Hamish was born. Finding high quality soft leather shoes was a challenge. After 2 years of research and design and the birth of her Little Princess, Bella, she launched SKEANIE shoes for kids. Since then SKEANIE has won much acclaim from mums, podiatrists and paediatricians and is the PREFERRED PROVIDER of the AUSTRALIAN PODIATRY ASSOCIATION (NSW). Podiatrists and paediatricians around the world have united to recommend SKEANIE’s beautiful soft soled shoes for your baby, toddler and young child. All SKEANIE shoes and boots are hand-crafted from high quality super soft eco-leather, designed to nurture and protect little feet. All products are Fair Trade. We recommend that your children wear the soft sole range before they develop into the SKEANIE Junior range when protection is required for outdoor walking and exploring. 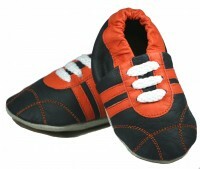 The Junior Rubber Soled Shoes have been designed for walkers. The footwear in our Junior range feature our innovative flexible rubber sole.